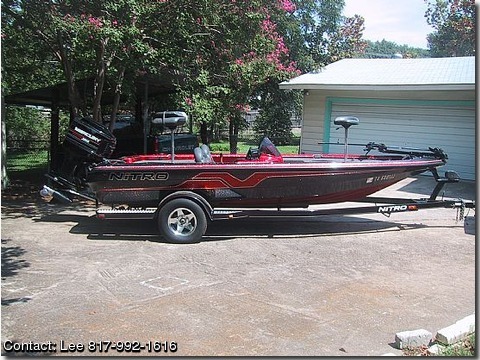 full boat cover and under carport, single axle trailstar trailer with swing away tongue w/ electric brakes, dual on board battery charger, hot foot, jack plate, tournament livewell, seastar hydraulic steering, trolling motor 50lb thrust, 2 lowrance fishfinders, zercom flasher, '95 mercury 150 h.p., newly rebuilt carbs, very clean, runs great. up to 72 mph. 2 kids + 2 jobs = 0 time to fish.